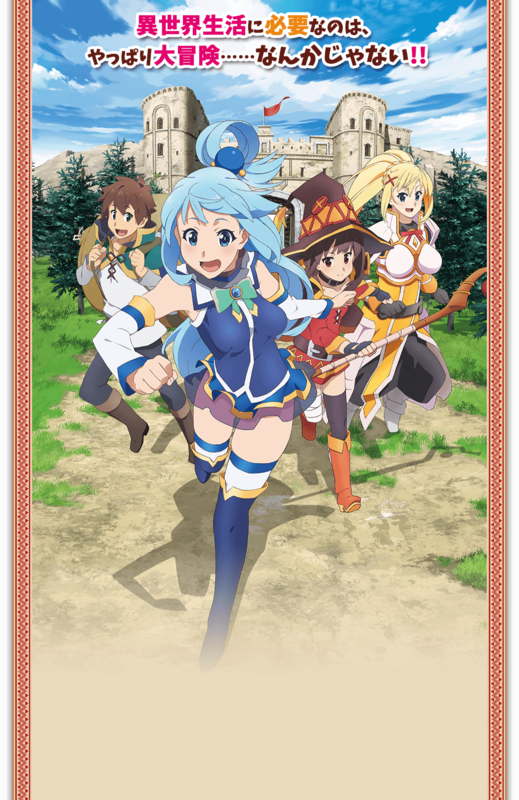 Who is your favorite from KonoSuba so far? So the most obvious reason as to why most of the male adventurers never left this village was most likely due to the Succubi that reside in town. 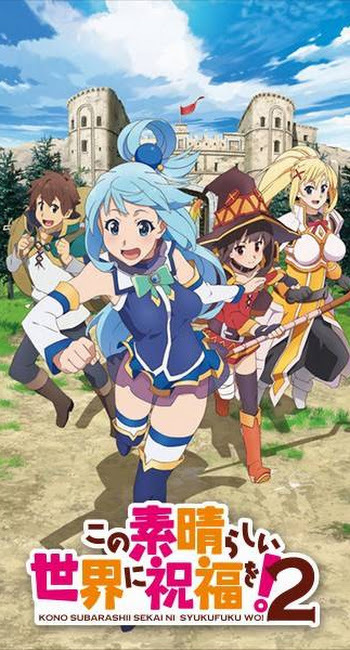 Although with things ending a bit too well it seems that Kazuma get's charged for destroying a lord's manor of sorts, but on the up side at least there wasn't any major causalities with that though. In a town balanced for LVL 0-5, being a LVL 10 or higher means that you could survive quite nicely there very easily, gaining amounts of treasure whole parties would take a day to earn in only a few hours. Yeah, I'd stay! 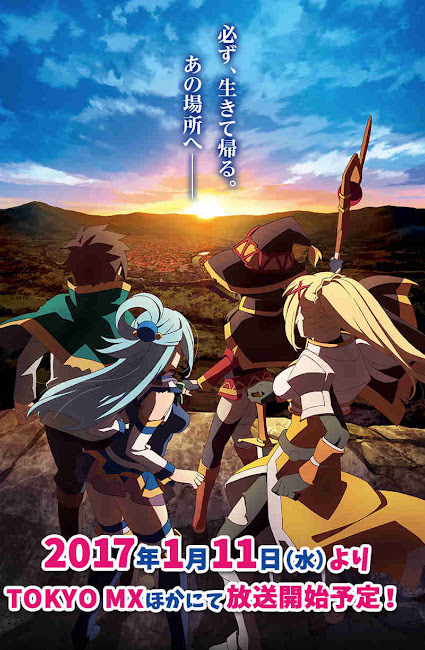 game balance is WAY broken like Kazuma keeps saying. There should be some "incentive" that makes it difficult for players over a certain LVL from staying in a starter town. Now as a RARE example, I am completely turned-off by Megumin's character. She's jail-bait, built like a boy, and of course, NUTS. But she is easily THE MOST ENJOYABLE CHARACTER to watch in the current roster in my book. Kazama - "Yes, yes, I'm Kazama." These little moments are simple and understated comedy GOLD. Really confers an appropriate sense of intimacy and trust to be THAT zany with his teammates when the rest of his personality doesn't seem like it would go along with anybody else doing the same. He'd just make some kind of "What a pain" comment and let it drop, I think. A great way to demonstrate the closeness with the others that seemingly has "snuck-up" on him. 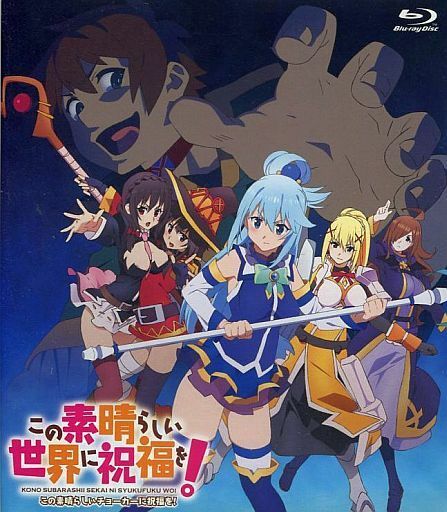 Although with things ending a bit too well it seems that Kazuma get's charged for destroying a lord's manor of sorts, but on the up side at least there wasn't any major causalities with that though. Well on the up side with that latest episode would be to say that Darkness finally managed to have someone have their way with her. rejoice! IseSuma is ok, but a WTF Destroyah's creator backstory xD S3 when!? Also, wasn't there a rumor about this series also getting a game as well too? I mean I know the OVA for the second season has been announced for a while now and I hope to see more of Yunyun because of it.